Popular Belief: Discipline hinders creativity. 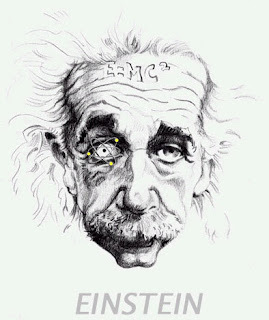 The most prevalent way to depict creativity is Einstein’s photo with his shabby hairstyle and chaotic looks. Creativity does not always come packaged as this confused picture. The other well-behaved gentleman shown above is C.V. Raman – another physics Nobel Prize winner. It is a different face of creativity than what is popular. Raman was a disciplined scientist who performed ground breaking research while still receiving a gold-medal in college [Einstein got into repeated trouble at school]. Quantity of ideas is very important for creativity. Discipline provides a platform to create an “idea factory”. Discipline helps create a fine-tuned operational process to generate a lot of ideas. A lot of ideas are always better than the few ideas that shabby zealots find themselves boxed in because of their inflexible mindset. Being chaotic has suddenly become hip. It is the current fad in the enterprise. We have gone too far when it comes to creating an “informal” culture. Being informal does not mean being dirty and messy. A number of chaotic-creative-people never get to implement their creative ideas because they are not focused. They do not have a goal in mind when they start with their creative process. Disciplined thinking requires you to clearly state your goal in mind before you start any creative endeavor. With structured thinking you start on a stated goal, identify a compelling motive and follow a disciplined approach to finding creatively disciplined ideas. Another related popular notion is that a shabby work environment is a sign of creativity. A clean environment is much more helpful when it comes to creating good ideas. A dirty environment breeds dirty ideas. A messy environment creates stress and stress in turn kills creative juices. A clean environment on the other hand lets you focus on the creative task at hand. In conclusion, do not get rid of the basic discipline which is required in the creative process. Do not create unnecessary chaos just hoping that creativity is directly linked to dirty desks and lunatic looks. Discipline is a virtue – embrace it when you embark on your next creative endeavor. And, please get a decent haircut.